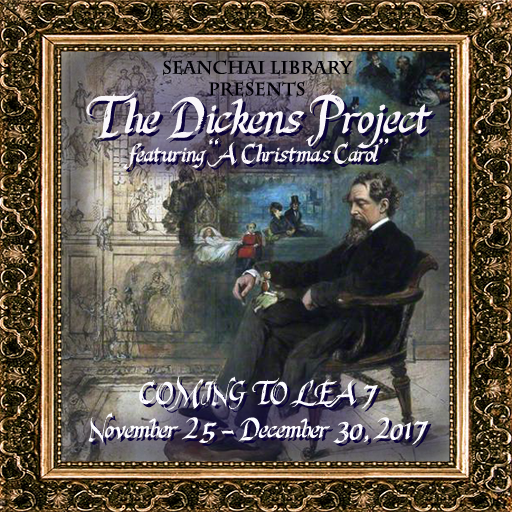 The celebration will feature live music, weekly DJ sessions, stage performances by Guerilla Burlesque, and Misfit Dance & Performance Art in addition to Seanchai's traditional spoken word presentations from the canon of author Charles Dickens (1812-1870) centered on, but not limited to, his novella A Christmas Carol. Carriage and balloon tours, skating, sledding and a few surprises are among the other features planned for LEA 7. 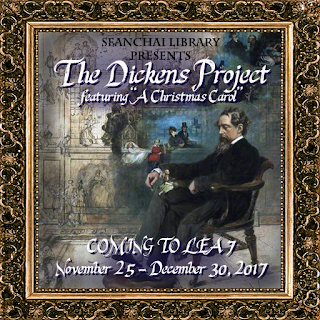 The Community Virtual Library has designed an interactive information center on the times and work of Charles Dickens which can also be explored. "Every year we learn something new," said Seanchai Lead Caledonia Skytower of the event that began as a regular session at the spoken word library, "... something fresh from the text, and something new in how we present it." Last year's Project was held on a half region parcel sponsored by Kultivate Magazine, the largest amount of space and prims Seanchai Library had presented on to date. 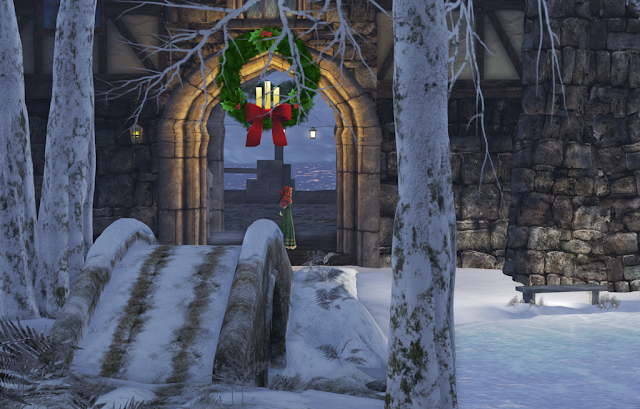 "The Story Tours were a big hit," Skytower continues, "Our vision has always been too guide our audiences 'in the steps of Ebeneezer Scrooge' using Dickens words framed by a themed environment, like walking through a live picture book." She quickly adds of the LEA 7 build being created by herself and Aoife Lorefield, "We are evoking, celebrating a work of fiction. This is an inspirational build, not a documentary one." In 1843 Charles Dickens prefaced his about-to-be classic tale with these words: “I have endeavoured in this Ghostly little book, to raise the Ghost of an Idea, which shall not put my readers out of humour with themselves, with each other, with the season, or with me. May it haunt their houses pleasantly, and no one wish to lay it.” He began the novella in October, completed it in less than six weeks. It went on to become the most successful book of the 1843 holiday season, selling six thousand copies by Christmas and continuing to be popular into the new year. Seanchai Library (Shanna-key, which means "Storyteller" in Irish.) was founded in March of 2008 in Second Life. 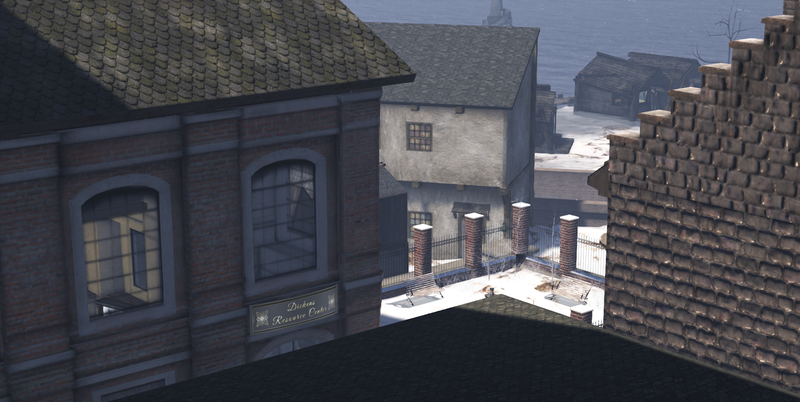 Thousands of stories, and hundreds of authors later, the program remains dedicated to promoting the power of stories to transform and inspire through live voice presentations: "We bring stories of all kinds to life, in Second Life." More information and links will be available closer to opening day.